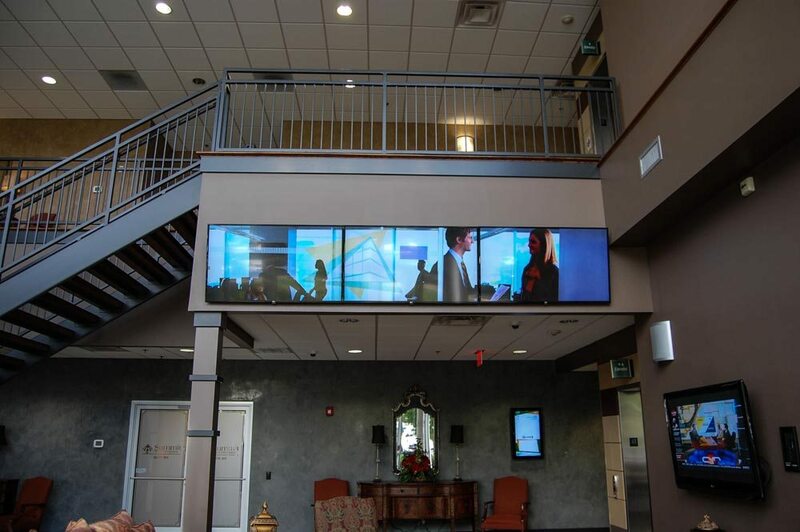 Our Digital Signage, designed and provided by EYECONIC.TV allows us to sell static and motion graphic advertisements to our tenants as well as businesses outside of our office. We offer prime digital real estate in a highly trafficked business area with exposure to a wide demographic. Advertisements can be purchased by the month and last up to a year in the rotation. 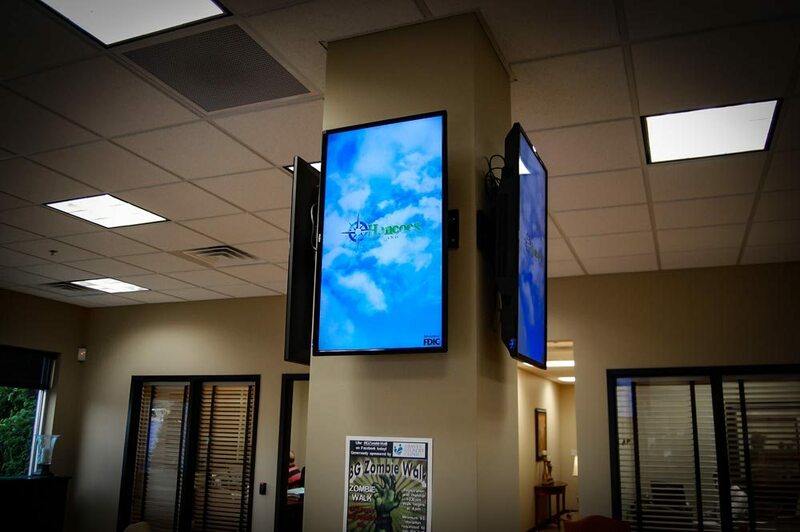 *Directory Promo Panels Include: FIVE (5) Screens throughout the entire building. 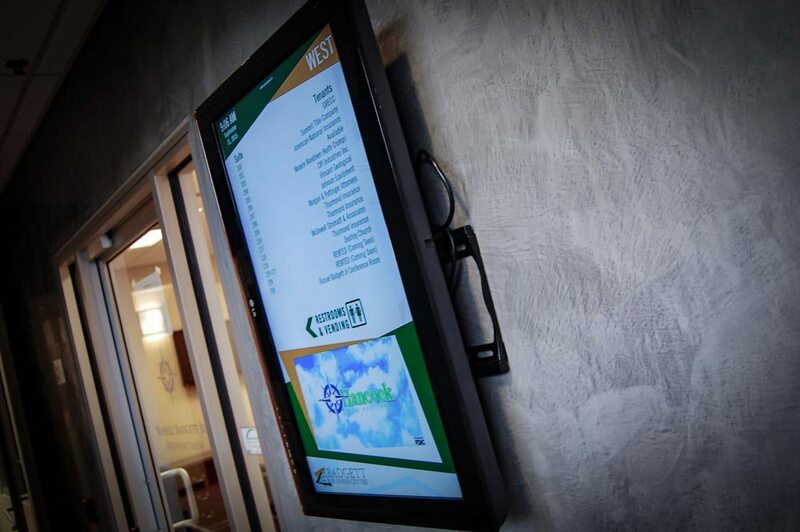 Touch Screen Directory (1 Screen) is located in the Main Lobby on the Ground Floor. The East and West Wing Directory Screens are located on both the Ground & Basement Floors in each wing (2 x 2 = 4 Total Screens). 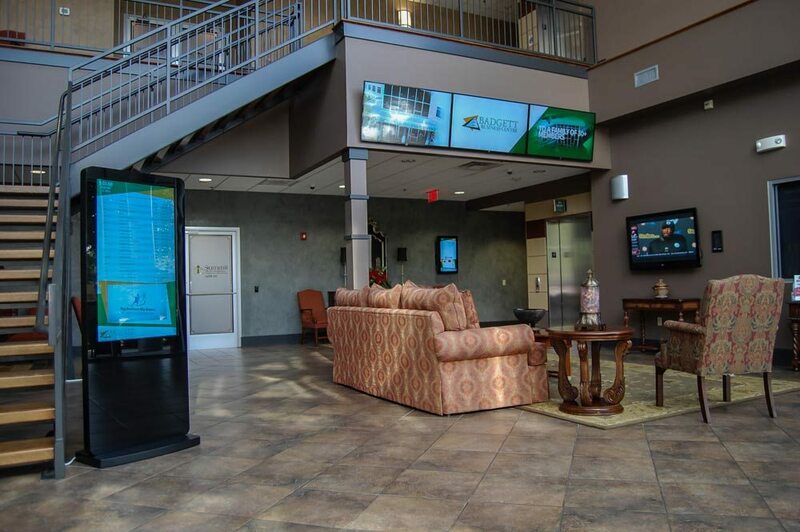 "Having an Office has Never Been This Easy"
We consider ourselves the Best in Bowling Green, striving to provide our tenants with top notch amenities, services, and support. With 44,000 Square Feet of leasable property and 143 parking spaces we have one of the largest executive commercial real estate buildings in the area. © 2018 Badgett Business Centre. All Rights Reserved.